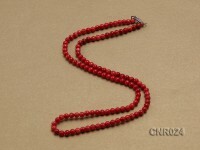 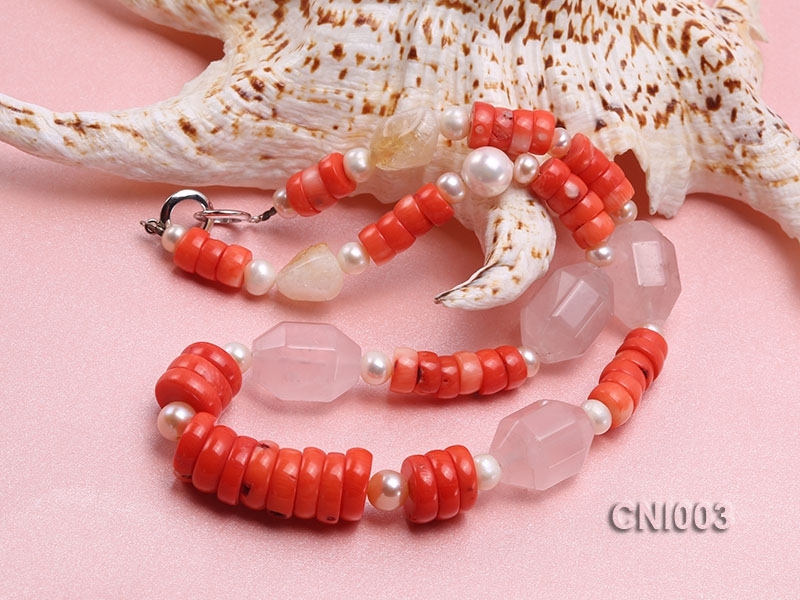 Beautiful 9x5mm red irregular coral necklace with ross quartz and pearl beads. 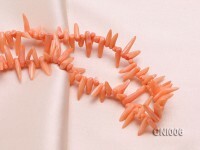 The coral necklace is 19 inches in length and closed by a gilded toggle clasp. 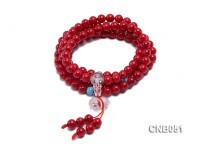 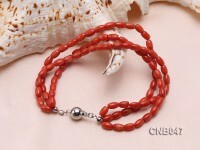 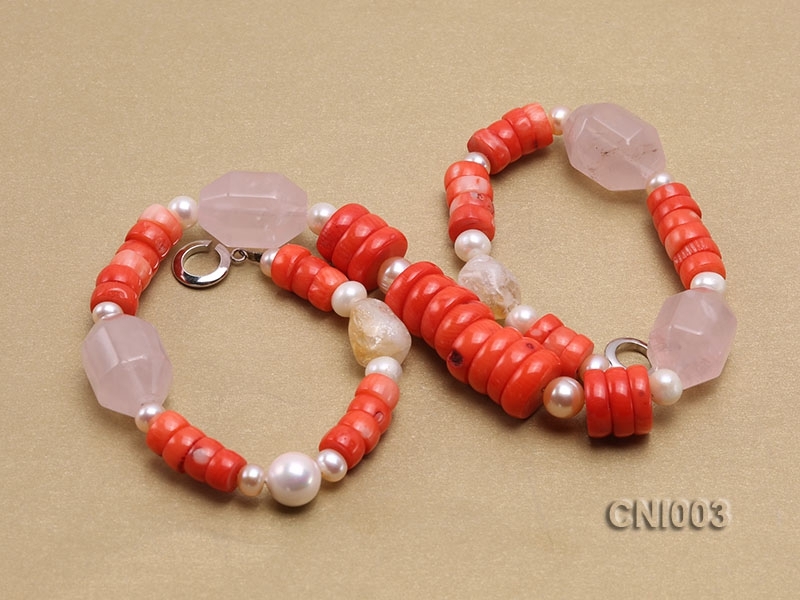 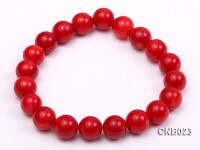 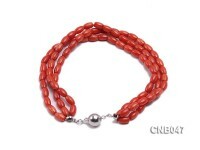 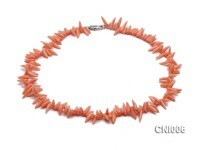 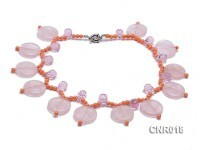 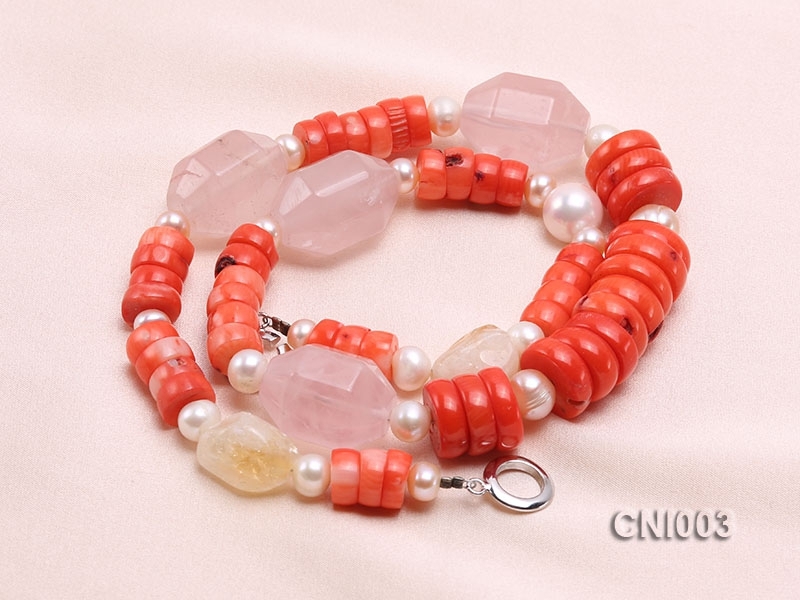 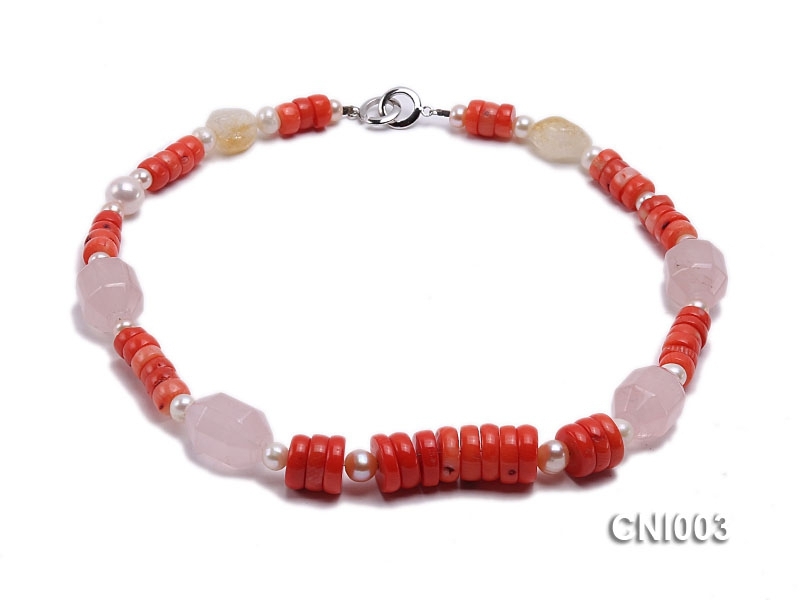 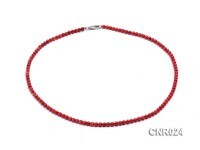 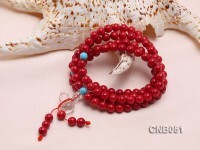 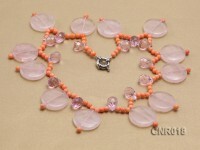 This kind of coral necklace can easily go with all kinds of casual dresses, revealing every touch of loveliness. 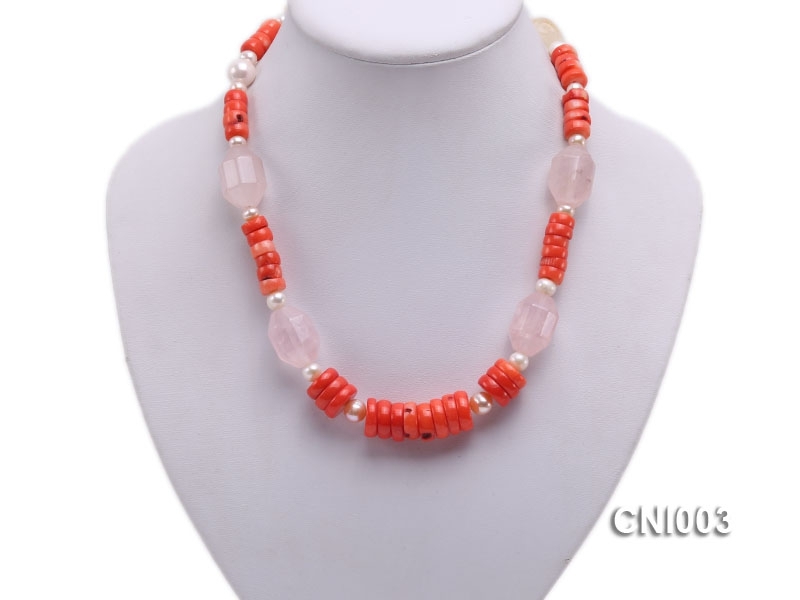 Coral is a very precious kind of gemstone from deep sea and is much helpful to fix internal secretion problems during long-term wear so as to keepp fresh complexion.